Dr Ingrid Dillo holds a PhD in history and has worked in the field of policy development for the last 30 years, including as senior policy advisor at the Dutch Ministry of Education, Culture and Science and the National Library of the Netherlands (KB). Ingrid is now deputy director at DANS. 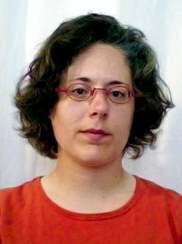 Among her areas of expertise are research data management and the certification of digital repositories. She is a member of the Board of the CoreTrustSeal and of the Board of Directors of the DRYAD repository. 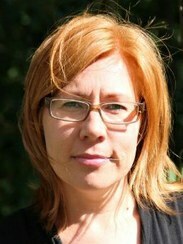 She also is Vice Chair of the Scientific Committee of the ICSU World Data System. Wim Hugo is the Chief Data and Information Officer for the South African Environmental Observation Network (SAEON) and part of its executive management. 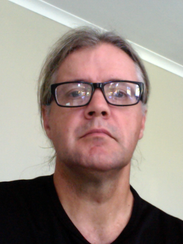 He is responsible for provision of Earth and Environmental research data and decision support infrastructure in South Africa, working with a large number of stakeholders. Current projects include the development of Global Change Risk and Vulnerability decision and policy support, evidence-based feasibility assessments of renewable energy, development of Spatial Data infrastructure for South Africa, and establishment of Research Data Management Infrastructure for the South African National Research Foundation. He also leads projects processing of increasingly automated long-term environmental observation data streams - utilising machine learning and artificial intelligence. Recent achievements include the publication of a BioEnergy Atlas for South Africa, contributing chapters to The GEO Data Management Principles Implementation Guide, and the GEO BON Handbook. 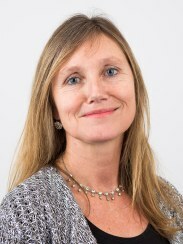 Major interests include the development of integrated guidance and best practice for e-Infrastructures, extension of metadata through graph databases and linked open data, formulation of ‘Benefit Frameworks’ to assist with translation of evidence into policy support, and the establishment of an open brokering framework for registration of interoperable services and components. Within WDS and CoreTrustSeal, he hopes to advance the principle of trust to extend to other elements of scientific activity - code, algorithms, protocols, samples, and the like. Wim has a Masters Degree in Chemical Engineering, and has over 30 years experience in engineering and management consulting, decision modeling, and digital systems engineering. He specializes in Research Data Infrastructure Architecture and in development of policy and decision support systems based on distributed Research Data Infrastructures. Institute on Ethics & Policy for Innovation, and Department of Philosophy, McMaster University, Canada. 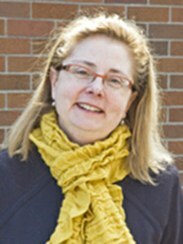 Dr. Claudia Emerson is the founding Director of the Institute on Ethics & Policy for Innovation at McMaster University, and Associate Professor of Philosophy. 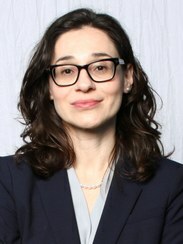 Her work in applied ethics considers ethical issues and policy gaps in global health research, and she has been working with the Bill & Melinda Gates Foundation and its partners for over a decade examining issues that arise along the discovery-to-delivery pathway for potential lifesaving interventions. She is especially interested in ethical issues related to data sharing and models of data governance, particularly with respect to the introduction and adoption of novel technologies, and the management of infectious disease. Dr. Emerson serves in several advisory capacities related to public health and innovation, including the national Advisory Committee on Ethical, Legal, and Social Issues for the Canadian Longitudinal Study on Aging for the Canadian Institutes of Health Research (CIHR), the Foundation for the National Institutes of Health (FNIH) Expert Working Group on Field Testing of Modified Mosquitoes Driving Transgenes, and the Legal, Ethical, Environmental, Dual-Use and Responsible Innovation (LEEDR) panel of the Safe Genes Program for the Defense Advanced Research Projects Agency (DARPA). She holds an Hons B.Sc. in Biomedical Science, and M.A. and Ph.D. in Philosophy. Her research activities include developing ontologies for environmental risks and ensuring interoperability for health databases. She is developing quantitative cross-disciplinary systems biology models for evaluating the impacts of environment on health. She is an elected fellow of the American Association for the Advancement of Science and the Society of Risk Analysis. She has recently served on the US EPA Science Advisory board. She has also served as chair for the National Academy of Sciences Committee on Developmental Toxicology and as a member for the Committee on Toxicology and Institute of Medicine Upper Reference Levels for Nutrients. In 2012 she was a member of the ICSU Review Committee on CODATA. 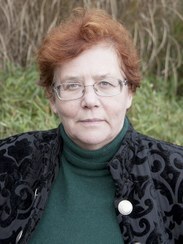 She is the past Secretary-General for the International Union of Toxicology and continues to be active with this Union. 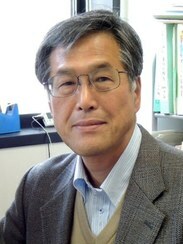 Toshihiko Iyemori is a professor of the Graduate School of Science, Kyoto University, and director of the Data Analysis Center for Geomagnetism and Space Magnetism (DACGSM) which belongs to the graduate school. Since 1981, he has been serving geomagnetic data collected by the World Data Center for Geomagnetism, Kyoto, which the DACGSM operates. He was a president of the Society of Geomagnetism and Earth, Planetary and Space Sciences for 2011–2013 and a member of the Executive Committee of IAGA for 2009–2015. His major research field is the Solar–Terrestrial Physics and he is also investigating the electromagnetic effects of lower atmospheric disturbance to geospace. 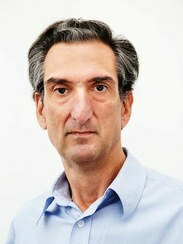 He is one of the members who created the IUGONET (Inter-university Upper atmosphere Global Observation NETwork) which is a network of distributed databases based on a common metadata database. 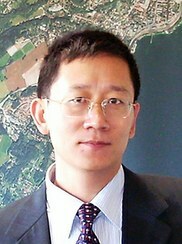 Dr. Guoqing Li is a Professor of RADI at the Chinese Academy of Sciences. 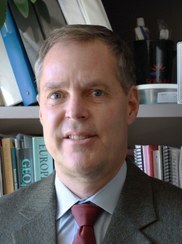 He has worked at ESA and Purdue University as a visiting professor. 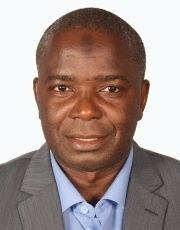 He has been the Head of the Data Technology Division in RADI since 2007. His favourite research areas concern high-performance remote-sensing image-processing technology and the spatial information grid. His main focus is currently on next-generation spatial data infrastructure and nature disaster data management and infrastructure. He is a senior member of the Institute of Electrical and Electronics Engineers and the China Computer Federation. He has also been involved in the national committees of ICSU's Committee on Data for Science and Technology and Integrated Research on Disaster Risk programme. Sanna Sorvari has a doctorate degree in natural sciences and her scientific background is in climate and Arctic research and paleoecology. 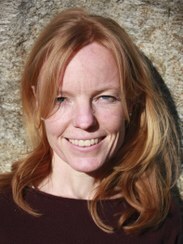 Sorvari is research manager at the Finnish Meteorological Institute and works mainly with environmental research infrastructures, research data management and international collaboration. Sorvari has over 15 years’ experience in initiating, coordinating and implementing international, European, Nordic and national research and research infrastructure (RI) projects, programmes and initiatives. She leads ACTRIS (Aerosols, Clouds, Trace gases research infrastructure) implementation in Europe, previously Sorvari has been involved in establishing ICOS (Integrated Carbon Observation System). Sorvari also leads the strategic work of the European environmental RI communities on setting-up common data operations (ENVRI cluster) and participates in the international data infrastructure developments. She serves as a member for many data and e-infrastructure related committees and boards, such as in H2020 Expert Advisory Board for research Infrastructures and e-Research Infrastructures; National Committee for Research Data management; and ICSU-WDS Scientific Committee. For the WDS Scientific Committee, Sorvari brings insights on the latest European developments in the field of environmental data, particularly on observational data. In addition, Sorvari has strong links to different env RI communities (including atmospheric, marine, terrestrial ecosystem and solid Earth communities) and thus can enhance the participation of these communities to WDS's activities.